Early Saturday morning was just a normal time for most people in the world, but for those in Chile, it could very well have been the worst day of their lives. Not many months have passed since the killer earthquake hit Haiti, and a lot of people the world over still live in anxiety. You can just imagine what our fellowmen from Chile were thinking when they awakened to a rocking world. The quake that hit Chile was way stronger than the one that hit Haiti – it measured in at 8.8 on the Richter scale. Seismologists classify this as “great” earthquake, capable of incurring tremendous damages. To date, hundreds have been reported dead in Chile, with the numbers expected to rise. The extent of the effects of this earthquake is supposed to reach far and wide, though. 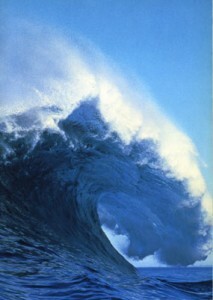 As a matter of fact, a tsunami was triggered by the tremor. AP reports that waves have already reached as far as Russia and Japan on Sunday – a day after the quake hit Chile. The good thing is that the waves were not as huge as was expected. People were already told to evacuate as early as Saturday, and evacuate they did. Perhaps due to the distance, the waves were a “mere” 4-feet high, which, while causing some flooding, did not really cause much damage. The Japanese government has already lifted the tsunami warning. Most other countries who are in the path of the tsunami have also lifted their warnings. Would you pay that much for any dish? I suppose that if you were dining at a 3-star Michelin restaurant, a hundred bucks is not that expensive for a single dish. Then again, it really depends on what you’re eating. In a Japanese restaurant, you can taste a one of a kind soup – ramen – for $110. It does not take a rocket scientist to figure out that this price tag is more than hefty for a bowl of soup! Indeed, if you ever go to Japan, you will be able to find bowls of ramen for as low as $10. This is especially true in areas where they sell food on the streets. So what makes this ramen soup worth the price tag? 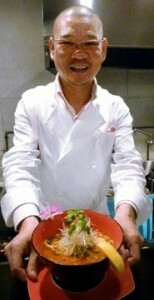 According to restaurateur Shoichi Fujimaki, his soup is “not really ramen. This is my cuisine, it’s my 25 years of experience distilled into one bowl. This is the only place in the world that people have this kind of soup.” Twenty-five years of cooking experience, more than 20 ingredients, and three days of preparation – all these add up to $110 per bowl. And what do customers have to say about the Five-taste Blend Imperial Noodles, which is the highlight at Tokyo’s Fujimaki Gekijyo? It looks like they’re loving it despite the price and the not-so-good Japanese economy! By the way, not just anyone can have a taste of this soup. In fact, customers are required to dine at another restaurant (Fujimaki owns it too) and sample “lesser” fare before they can be qualified to have even a glimpse of THE other soup. Nice business tactic, huh?